Following a call for expressions of interest issued by the state's digital transformation services, six projects will be tested for ten months in various public organizations with the aim of "transforming public action by artificial intelligence". Presentation. Secretary of State for Digital Mounir Mahjoubi unveiled on November 21, 2018 six projects that will “transform public action by artificial intelligence.” These projects, carried by public bodies, now have ten months to be developed before being exported, if possible, to other state services. 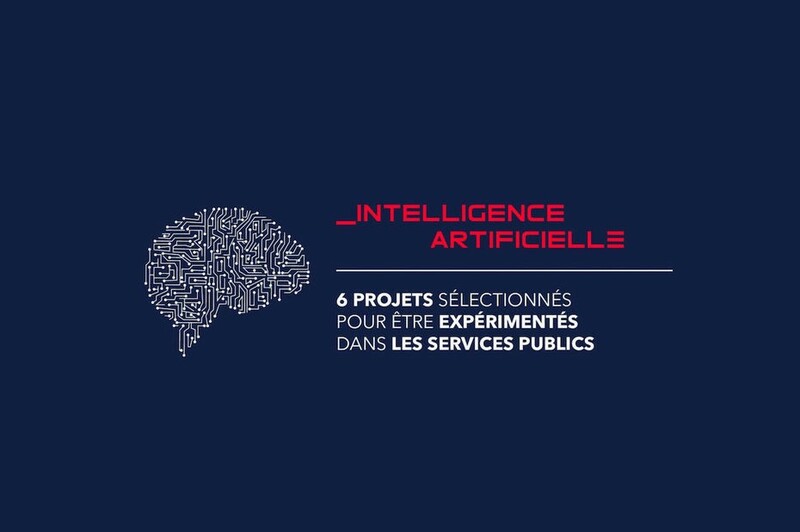 “Ces projets sont représentatifs des différents services publics et des différents types de technologies de l’intelligence artificielle”, a expliqué Laure Lucchesi, membre du jury et directrice d’Etalab, lors de l’annonce des lauréats. Ils couvrent en effet la sphère publique de l’environnement au social, en passant par la santé, le sanitaire et la sûreté nucléaire ; et utilisent des techniques différentes d’IA pour répondre à différents usages : ciblage des contrôles, amélioration des relations aux usagers et de processus métiers. Of the fifty or so that responded to the call for expressions of interest issued last June by the Interministerial Directorate of Digital and State Information and Communication System (DINSIC) and the Interministerial Directorate of Public Transformation ( DITP), six projects were finally selected. At the end of ten months, during which they will be supported both technically and strategically, their proof of concept will have to be validated during an evaluation for a possible deployment. The tool proposed by the University Hospital of Toulouse aims to use AI both to assist in the diagnosis of patients and to optimize the meetings of multidisciplinary postoperative consultations. By processing all medical records, this tool aims to simplify physician decision-making and improve the consistency of patient records - without making a decision. With the same textual analysis approach, the Nuclear Safety Agency (ASN) wishes to review with an IA the reports of plant inspections to better identify the items to be checked during visits. The agency plans to analyze some 20,000 follow-up inspection letters, extract the data and develop a turnkey tool to help the inspectors. The Departmental Directorate of Territories and the Sea of ​​Herault (DDTM) presented a project that is based on image analysis. By using AI, the organization intends to better target these land-use controls by detecting objects (such as caravans, garbage dumps or agricultural sheds) that may constitute irregularities. Similarly, the French Agency for Biodiversity intends to use artificial intelligence to develop control plans that will better target the control sectors of the environment police, both on purely environmental issues and on environmental issues. human activities. To refine the targeting of its food safety controls in restaurants, the Directorate General for Food (DGAL) will use the IA to analyze comments and opinions published on web platforms such as TripAdvisor, Google or The fork. This will allow both to better target the controls of upstream health inspectors and to check the consistency of control and comments posted on the downstream Web. Finally, the Central Agency of Social Security Organizations (ACOSS), intends to create a "voice bot" (or conversational voice agent) capable of answering simple and recurring questions, or even send back to the most competent interlocutor to answer.